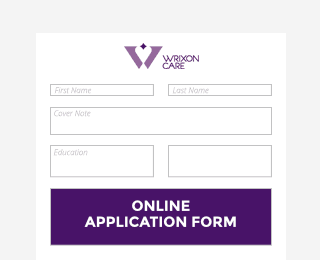 At Wrixon Care we are committed to the highest standards and having the right staff is essential to maintaining our reputation for excellence. Our operational staff work in a variety of different, often very challenging, situations and environments. We recruit on a regular basis to expand our teams in Broxbourne; County Durham; Telford; Stoke-on-Trent; Astley; South Wales and Glasgow working with children, young people; families and vulnerable adults with a range of different, sometimes complex, support needs and providing support to achieve the best possible individual outcomes. Flexibility is key in our business and, with our services offered 24 hours a day 365 days a year, we would need you to be flexible too. We offer a range of contract types with varying levels of commitment attached – including a ‘zero hours’ arrangement which allows you to tell us when you are available for work via our live online rostering system. Hopefully, you will find an option which suits your own work-life balance requirements. We offer competitive rates of pay, paid holiday and an employee pension scheme. A thorough recruitment and selection process as well as a tailored, comprehensive induction training and development programme ensures that, together with the life skills you will bring to the role, we are able to achieve the highest standards of service provision. Evidence of your ability to work in the UK.